We do Thermador grill repair! Fast, convenient and professional service! 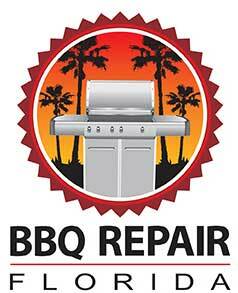 We do Thermador grill repair, Thermador grill cleaning, and restoration. Our team is Thermador expert, and we know everything there is to know about this brand. Whether you have a brand new Thermador or the one that is a couple of decades old we will be able to help you. Our technicians are all factory trained and certified. Thermador makes an excellent line of gas ranges with griddles and grills. We can easily diagnose what is wrong with your range or stovetop, find the right parts for it and do a professional installation. Your broken Thermador grill will be as good as new. Just give us a call, and we will be able to come to you and repair your Thermador right away. We serve the whole of South Texas with several offices in the major locations. We have excellent customer service for our clients. Our techs are always polite, diligent and helpful. Our scheduling is very flexible, and we will make sure that repair appointment is convenient for you. We also offer you a FREE, accurate estimate before every job as well as FREE service call with every repair. Also, for your convenience, we carry most of the Thermador parts, and you will not have to wait for those parts to be ordered. This speeds up the repair process, and often all you need is one appointment, and your Thermador will be as good as new. Plus those parts have a 3 year full warranty on them. You can be sure that our highly trained and experienced technician will fix any problem you might have. After the job is complete, he will put your appliance back together and test it for safety issues. Then he will clean up and dispose of all the old parts. You will get a Thermador range that is fully functional, safe to use and totally clean. Now you can cook or grill on it and it will feel brand new again. Why hire us to do your Thermador grill repair? We are top professionals when it comes to Thermador grill repair. Thermador makes high quality, innovative products. Their ranges with grills can last you a very long time and can cook food wonderfully for you. When your range or cooktop brakes, you need a professional company to deal with the problem. We are such a company. Our team is factory trained and certified. They apply the highest standards or service and work ethics to every project they take on. Our team will not only fix your Thermador, but will also make the whole experience fast and convenient for you. They will also give you tips on how to best maintain your Thermador. You will be more than satisfied with our work! For Thermador grill repair, please call us at 469-440-2605! Or fill out of short online form! Besides Thermador grill repair we also do all the other brands such as Alfresco, Capital, DCS, Fire Magic, Kalamazoo, Lynx, TEC, Twin Eagles, Viking, Weber, and Wolf. We do gas barbecue repair, smoker barbecue repair, electric barbecue repair, portable barbecue repair, charcoal barbecue repair, freestanding barbecue repair, built in barbecue repair. We also repair, install and clean outdoor kitchens, cooktops, pizza ovens, sinks, outdoor refrigerators, wine coolers, dishwashers, beer taps, smokers, hibachi grills, warming drawers, patio heaters and much more. We will be happy to hear from you about any of your outdoor appliance needs! We do Thermador grill repair, Thermador grill cleaning, and restoration. Our team is Thermador expert, and we know everything there is to know about this brand. Whether you have a brand new Thermador or the one that is a couple of decades old we will be able to help you.